#1. Go to the beach. This one’s obvious. #2. Get a library card. If you don’t have one, get one. It’s free, the books are free. Who doesn’t love free? Plus. Less social media. More books. #3. Go on vacation or day trip. Maybe somewhere off the beaten path, somewhere different. It doesn’t have be far, just somewhere you’ve had on the list. #4. Have a cookout. I know I can’t be the only one that loves having people over, especially in the summer time. Kids in the pool, burgers on the grill? So cliche America and I love it. #5. Get donuts. 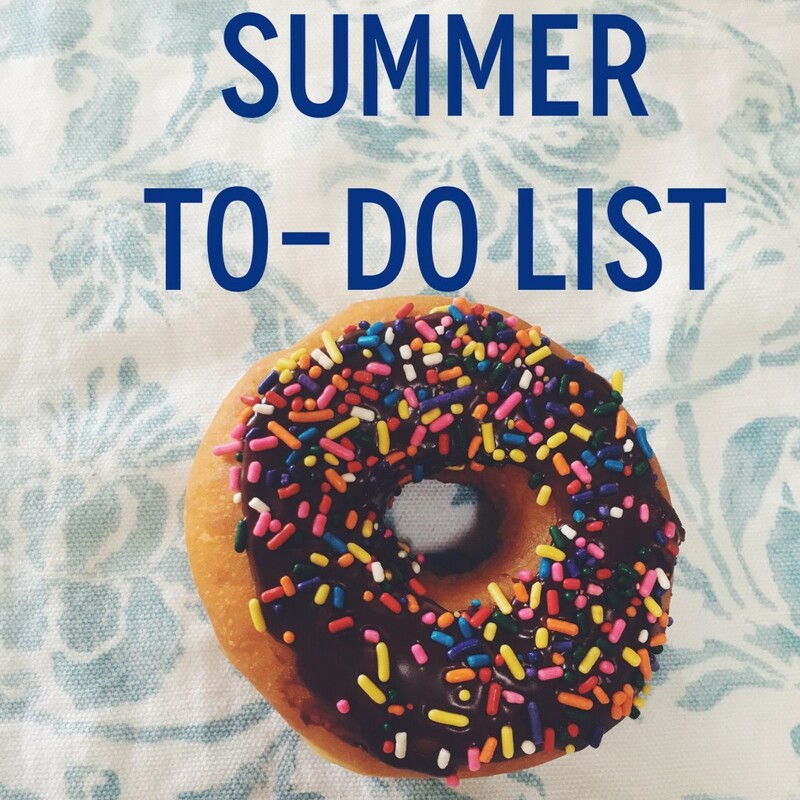 Preferably today because it’s National Donut Day. You’re welcome. #6. Go see a movie. Like actually in the theaters. It’s becoming a lost art. #7. Triple your water intake. Seriously. It’s already too hot for words down here. Summer is no time to forget the water. #10. Do something once a week, just for you. Mamas especially. Schools out which means kiddos all the time. Do something once a week for yourself. Mani/pedi. Go sit at a coffee shop for an hour to read. Maybe don’t do work…let it be relaxing! Summer I’m pumped for you.